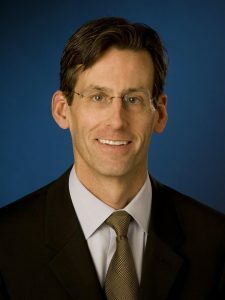 Kent M. Harvey is Senior Vice President and Chief Financial Officer for PG&E Corporation and Senior Vice President, Financial Services, for Pacific Gas and Electric Company. Harvey oversees the financial activities of the $40 billion company, including accounting, treasury, tax, risk, business and financial planning, and investor relations. Harvey began his career at PG&E in 1982. He has served the company in many different capacities, including as Director of Financial Analysis; Director of Investor Relations; Corporate Secretary; Vice President and Treasurer; and Senior Vice President, Chief Financial Officer and Treasurer of Pacific Gas and Electric Company. In 2005, Harvey became the Senior Vice President and Chief Risk and Audit Officer for PG&E Corporation. He assumed his current position in August 2009. Harvey holds a bachelor’s degree in economics and a master’s degree in engineering – economic systems, both from Stanford University. He serves as director of the North Bay Leadership Council. Pacific Gas and Electric Company, a subsidiary of PG&E Corporation(NYSE:PCG), is one of the largest combined natural gas and electric utilities in the United States. Based in San Francisco, with more than 20,000 employees, the company delivers some of the nation’s cleanest energy to nearly 16 million people in Northern and Central California. For more information, visit www.pge.com.